Members of the Hesperis genus are woody hardy perennials that grow in height from 30 cm to 1.2 m.
They carry lilac, white or purple flower that carry a fragrant aroma in the nighttime. They come into bloom in the summer. Some of the common names for Hesperis include Garden Rocket, Sweet Rocket, Dame's Rocket, and Dames Violet. Hesperis matronalis - Dame's Rocket by kirybabe. 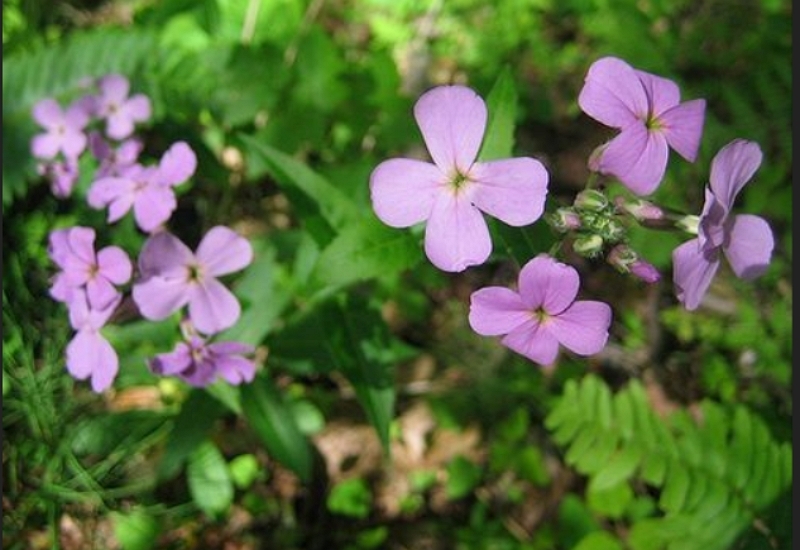 Common Names: Dame’s Rocket, Dames Violet, Garden Rocket, Summer Lilac, Sweet Rocket. Life Cycle: Short lived hardy perennial usually grown as a hardy biennial. Flower Details: Purple, lilac, white, pink. Fragrant. Four petals. Terminal raceme. Sow Outside: Surface. Middle of summer. Spacing 12 to 20 inches (30 to 50 cm). Sow Inside: Germination time: three weeks to one month. Temperature: 70 to 85°F (21 to 29°C). Two months in advance. Transplant outdoors following the last frost. Requirements and care: Full sunlight or partial shade, can be grown in shady areas in warm parts. Good drainage. Soil pH 5.0 to 8.0. Provide new seed beds with straw mulch during the winter. Most soils even poor ones. Regular feed. Prune stems once flowering has completed to encourage further blooming. Propagate: Self seeds readily; or from cuttings. Miscellaneous: Invasive and banned in some parts of the USA. 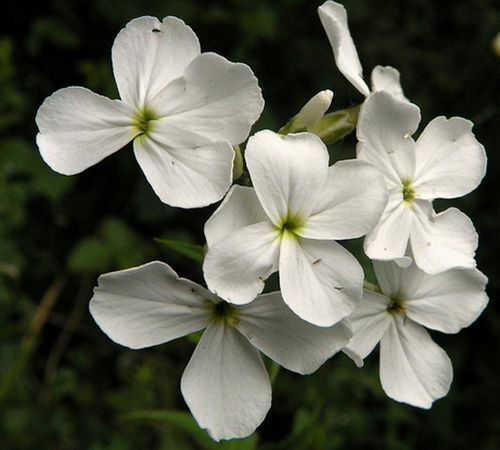 Often confused with phlox (five petals) but flowers have one less petal. The plant attracts butterflies such as the small white and orange tip, and various species of moths. If you are planning to grow Hesperis from seed then they should be sown on the surface in the middle of summer. They can grow in sunny, partially shaded and even shaded area (hot locations) of the garden and like a soil that has good drainage, is moist, and has a pH of between 5 and 8. If you plan to first start growing Garden rocket plant and other Hesperis plants as seedlings indoors, then they should be started about two and a half months before due to be transplanted out after the last frost of spring. It usually takes about three to four weeks to germinate at a temperature of 21 to 29 degrees Centigrade. Once growing they should be spaced at about 30 to 40 cm apart in the middle of spring. If you require more plants then cuttings of Garden Rocket can be took. Although the Hesperis plant is a hardy perennial, it is short-lived, so you may want to sow new plants regularly. Members of the Hesperis plant genus are easy to maintain; they require regular feeding and cutting back of the stems following flowering (this will produce more blooms).